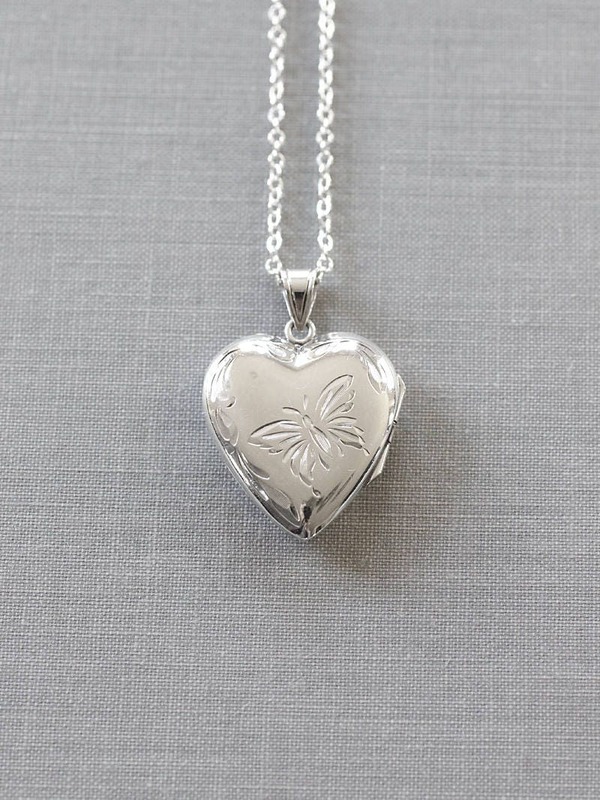 A rare butterfly engraved sterling silver locket is heart in shape and opens to reveal two removable frames ready to hold your beloved photographs. 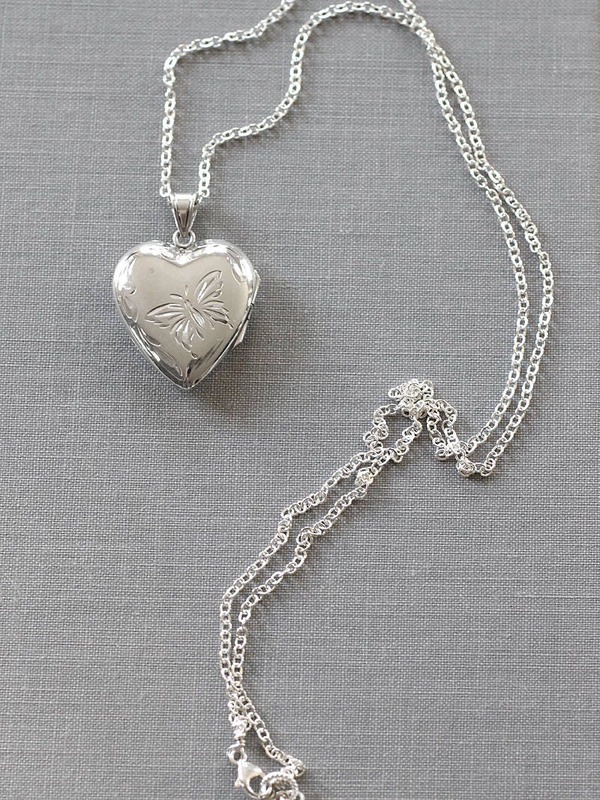 The back of the locket is stamped "sterling" with the maker's mark, "B" in a hexagon for the renown Birks and Sons of Canada. 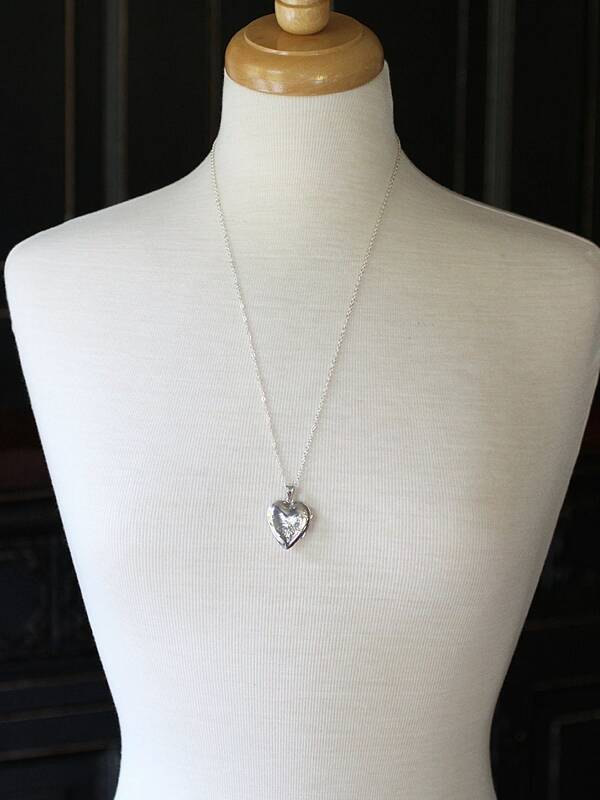 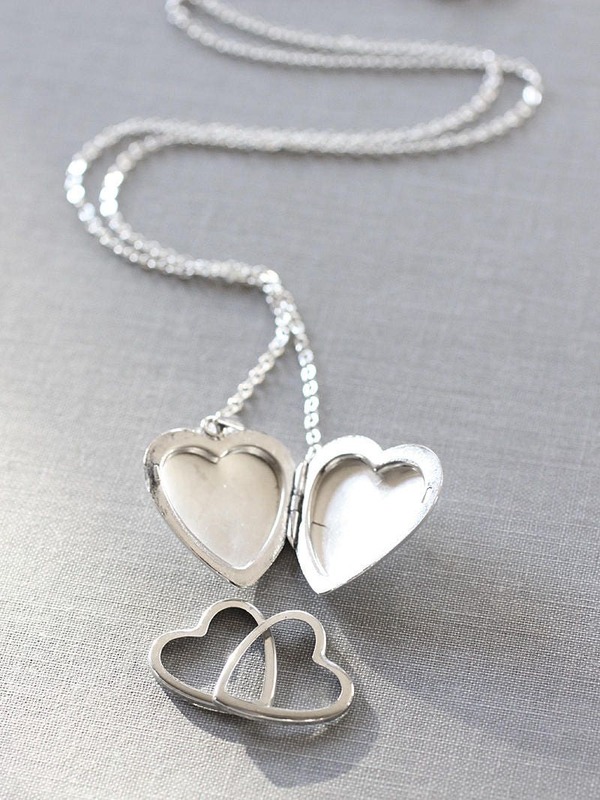 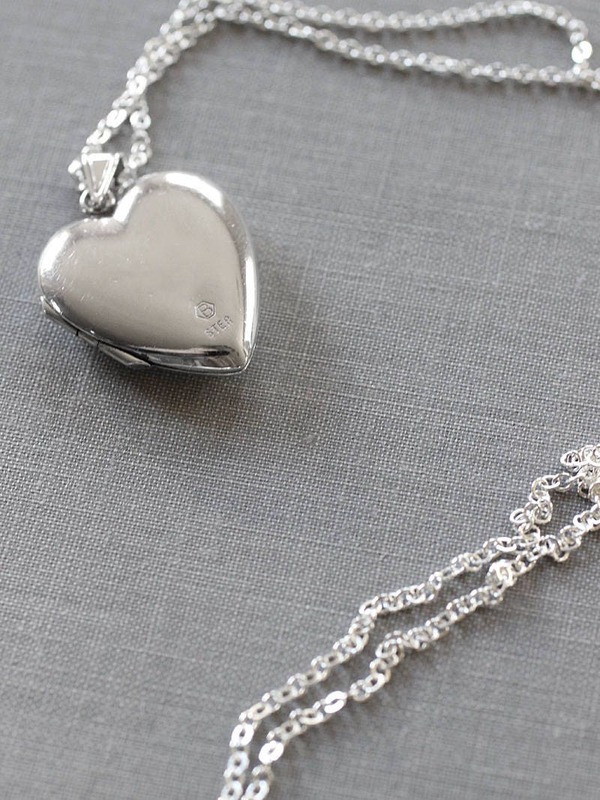 The locket is set on a new sterling silver chain hand finished with a trigger clasp of the same.